Enjoy the many detailed, traditional ‘Q&A’ exchanges in these article columns…’Q & A’ has now moved to open, interactive forum discussions. Visit the forums, you’ll want to join—for free! For an HD video playlist, featuring the latest Q&A vlogs with Moses Ludel, click here for the “4WD Vlog and ‘Live Tech’ Q&A Channel”. 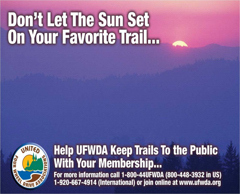 Want to discuss your technical and outdoor interests with like-minded enthusiasts? 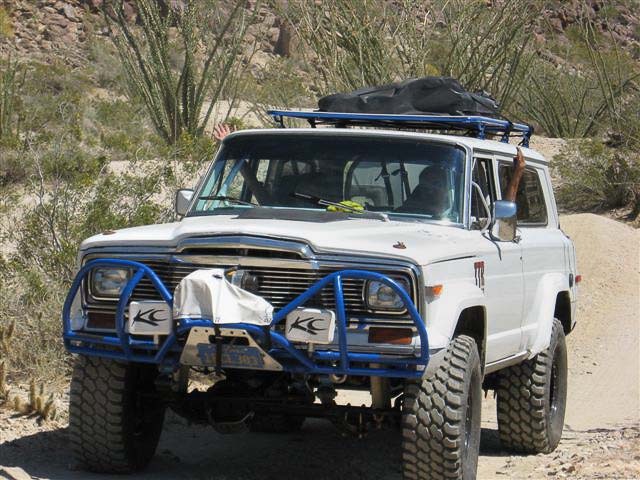 Check out the 4WD Mechanix ‘Tech and Travel’ Forums! Click here for a guest visit to the forums! I have an overheating problem on my 1979 Cherokee that has me at my wit’s end. I live in Phoenix, AZ and in the summer, it normally runs at about 200 degrees, according to it’s aftermarket gauge for the first 20 minutes, then the temp will start creeping up (faster if I use my A/C) and will rise past 260 if I keep going. I have confirmed the temp with an IR thermometer. 1) You did not mention transmission cooling, although it’s assumed the aftermarket radiator has a built-in cooler. IR your cooling lines on each side of the transmission cooler if integral to the radiator. Excessive heat here can migrate to the engine coolant section of the radiator. Consider an add-on transmission cooler to supplement the radiator cooler. 2) I always run a thermostat, as leaving it out can actually permit too much flow, resulting in inadequate time to cool down the engine coolant. A 180-degree thermostat would be right for your climate. 3) The fact that your A/C causes rapid heat-up indicates inadequate radiator capacity or the need for a fan shroud, which you did not mention. The fan needs to capture and pull air through the fan side of the radiator, drawing from the largest surface of the radiator. 4) Make sure the by-pass hose is a molded type and not restricted in any way. Use OE-type molded radiator hoses, too. As a rule, overheating at low speeds is an air flow problem. Overheating at cruise speeds and higher, without a load, is a radiator GPM flow rate problem, typically an inadequate radiator. I am not pointing the finger at the aftermarket radiator but you should check with the manufacturer about the flow rate and capacity. Compare this with an OEM radiator for an air conditioned Cherokee with the 360 V-8. Since you did replace the fan clutch, we should be able to rule that one out, although you should hear a “heavy duty” fan clutch unit spool up the fan as the engine gets hotter. If you do not hear fan noise at the temps you’re describing, the fan clutch might not be working. It is thermally controlled and should cause the fan to drive at higher temps. Use your IR thermometer to spot-check the engine, radiator hoses, radiator and transmission cooler for localized overheating. A cheap “engine overhaul” with block mud left in the lower areas of the block can be a cause of overheat. Mismatched head gaskets or heads can be an issue, too, as cooling ports will not align. A thorough rebuild includes hot tanking the block and heads. 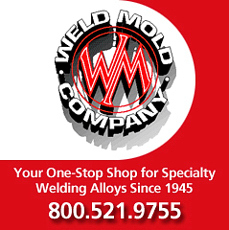 Check all areas of the engine castings for hot spots. Hi, Fred…You have been thorough. Do the IR spot check and let’s see where that leads. I would also like to know that the ignition distributor’s advance mechanism works. You can set base timing properly, yet with a defective or sticking advance mechanism, you will not have the correct total number of advance degrees. 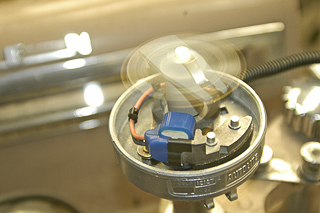 You can test the distributor in a distributor machine or with a timing light that has a built-in advance. If you do test the distributor on the engine, I recommend doing this with the fan belt(s) removed and the engine cold. This way, you can rev the engine to the distributor rpm needed to verify full advance—without risk of the fan separating from the water pump. Testing the vacuum advance, if so equipped, is easy: this can be done at idle with a vacuum hand pump on the vacuum canister line. Also, the AMC V-8 timing cover is a source of contention for oil pressure and coolant flow…Look into the coolant distribution. Oil pressure gains are also possible from a timing cover renewal. I have the infamous Tornado 230 OHC six in our ’65 Willys wagon and like it. Although it is obviously smaller than the 4.2 sixes, it runs very well but smokes a bit. Before I do a minor (or major) rebuild, do you know anyone who has done a fuel injection retrofit on this unique-to-Jeep engine? Since the engine has a long stroke it is ideal for my needs, but I would like to clean up the tail pipe emissions and make it more economical if possible and practical. I know that IKA (Industry Kaiser Argentina) did a lot of development with this engine (7 main bottom end and new cylinder head with individual intake runners, etc. ), but has anyone in N. America played with this engine? PS: I really find your technical articles useful – they are wonderful and straight forward to follow. Hi, Pavel…Nice to get your details on the 230 OHC. I am intrigued about the 7-main bearing lower end and how that block mates with the other 230 components. Is the 7-main block available in numbers? The smoking is virtually inherent with the OHC six. These engines are notorious for valve guide seal and valve guide oil seepage. If the engine blows blue smoke on start-up after setting for a while, suspect guide and/or seal issues. EFI is not far-fetched. TBI is the simplest approach, and a system like the Howell for the 258 AMC six would be in the ballpark for throttle body sizing and fuel flow. This is a kit approach with all hardware, the throttle body, an ECU, wiring and plumbing. You would need to adapt the throttle body to the 230 intake/carburetor base pattern. Although two manifold runners could be run with a port injector per runner, this would require heavy flow per injector, an unrealistic goal. The Howell system (or your own G.M. TBI and ECM design) will fit atop a carburetor manifold. Howell uses G.M. off-the-shelf TBI as the platform for his kit. (Bill is a former G.M. engineer.) The common G.M. throttle body for Throttle Body Injection (V-6 and V-8 applications) provides a place to start. A simpler installation, stock TBI or the Howell kit is a straightforward approach. Although some equate TBI to an “electronic carburetor”, it is much more sophisticated and would dramatically enhance your current engine with its two-runner intake manifold. You want a system with an oxygen sensor and MAP sensor feedback (plus the other G.M. OEM sensor signals). G.M. TBI is an uncomplicated speed density design. I would expect good torque and horsepower gains with a bolt-on TBI system. The original Mopar EFI conversion for the 258 was actually a Holley TBI unit fitted to the stock 258 intake manifold’s carburetor flange. Ignition and fuel curves were part of an aftermarket Electromotive fuel and spark management system that was laptop programmable. This, of course, complicated the tuning side of this package. Using the stock manifold, gains of 40-50 horsepower were possible. The later Mopar EFI kit with MPI improved both horsepower and torque gains. This was a simple retrofit with the common 232/258/4.0L inline six’s individual intake runners. An interchangeable distributor design made the spark management easy. The later MPI kit essentially retrofitted a 1995 4.0L fuel-and-spark management system to the earlier AMC sixes…Your 230 OHC does not have the six intake runners or head ports to accomplish an MPI installation. > other 230 components. Is the 7-main block available in numbers? Pavel writes: I have read that IKA (Industry Kaiser Argentina) made a large number of updated (7 mains) engines for use in their so-called “Torino” sedans – these were very similar to American Motors Ramblers. The engine mounts were moved to a more midpoint on the block from the front plate, oil filters changed sides, etc., but the real difference I’m interested in was the updated head that had individual intake runners not the arrangement on our engine where there were only two intake ports with internal runners to three cylinders each. I believe the Argentine engines had at least two or three different intake manifolds which held Holley 2-barrel carbs or even triple side draft Webers (about 1300 were made). In racing form, the fully developed engine reached about 330 hp at high revs! Unfortunately, your 230 does not offer that cylinder head design. Unless the Argentine head can be retrofitted, I would be content with a TBI conversion that involves complete electronic fuel-and-spark management. As for your converting the distributor to work like a Motorcraft electronic unit, see the photo on the home page of the magazine. 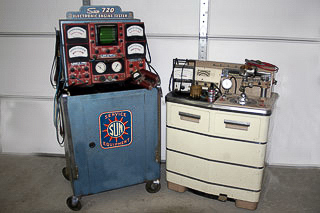 I converted a vintage Motorcraft dual point unit (from a Ford Mustang 289 K-model V-8) to electronics. AMC was fond of its Ford-sourced Motorcraft ignitions, which accompanied the Jeep models into the Chrysler era. 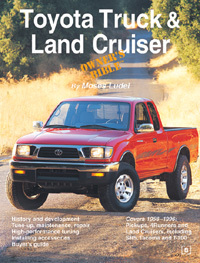 The last Motorcraft ignition was in the 1991 Grand Wagoneer 360 V-8. 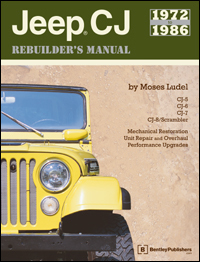 I discuss upgrades to the AMC six-cylinder units in my Jeep® Owner’s Bible™. Unlike the Prestolite distributors, the Motorcraft units were reliable and durable. 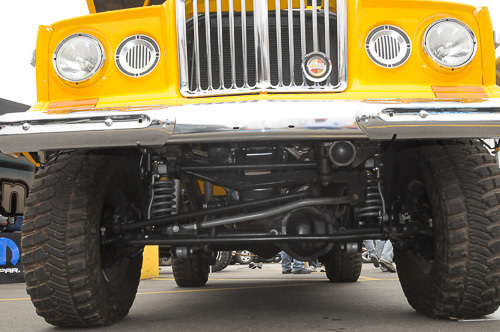 If the motivation is high enough, TBI is feasible—even for a Kaiser-Jeep 230 OHC inline six! Thank you again for the information, Moses. A TBI unit with oxygen sensor and MAP sounds like a wonderful “fit” for our old Willys Tornado. If my attempted Argentine link works out, you have outlined the logical and more involved/expensive next steps toward MPI or port injection. I don’t require the best result, only measurable improvements on all fronts plus the pleasure of modernizing an old but interesting engine. First, I must get new valve guide seals on the unit and see if I can squeak through Aircare ( I flunked last attempt)! I will contact you again if there is any substantial progress—it will take some time. I really appreciate your advice! Pavel…For passing your Aircare program, the guide seals should help. Run a cylinder leakdown test before beginning this work to confirm that the rings and valves seal properly. A leakdown test will pinpoint valve, head gasket and ring leakage. You can carefully install guide seals without cylinder head removal by first lifting out the camshaft. Using an air-hold at each spark plug hole with the piston at TDC and both valves closed, place a straddle type valve spring compressor over the valve spring. With care, while keeping the valves seated with air pressure, replace each guide seal. 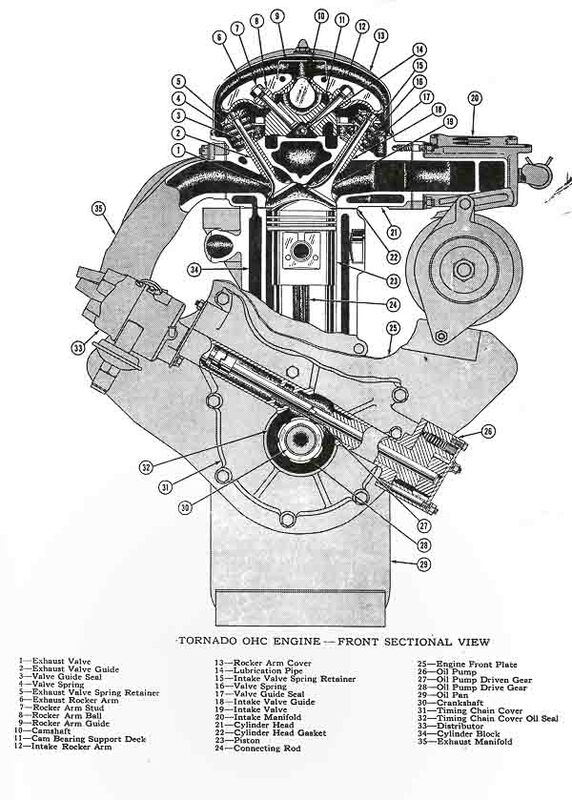 All of this is described in the factory workshop manual for the 230 OHC engine. 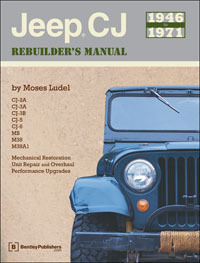 You should have a copy of this manual; it is available in reprint as the “Service Manual ‘Jeep’ J-Series Vehicles”. 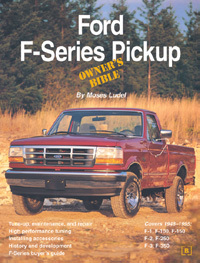 Try Willys Jeep Parts and other sources for this book. The cure for these guide issues is head removal, installation of silicone bronze guide inserts in the original cast guides and use of Perfect-Circle style, nylon wiper valve guide seals. Guides may require machining to accept these seals. A shop that does valve work is qualified to perform this modification. P.C. replacement seals were the remedy for this engine and quickly adopted for high performance engine applications. Use compatible valve stem materials with the silicone bronze guide inserts. Once you get past the head and guide issue, remember that Holley carburetors are very touchy. A time-well-spent “blueprint” rebuild, using the right jets, power valve and other parts, can get that crude carburetor to behave itself—and pass your Aircare test. Be sure the PCV system works properly, too. If you need OEM Holley specs, let me know. 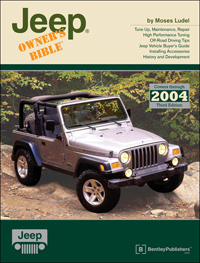 Some are listed in the Jeep manual that I described. I have an ’89 Grand Wagoneer with a mild lift and multi-purpose goals. 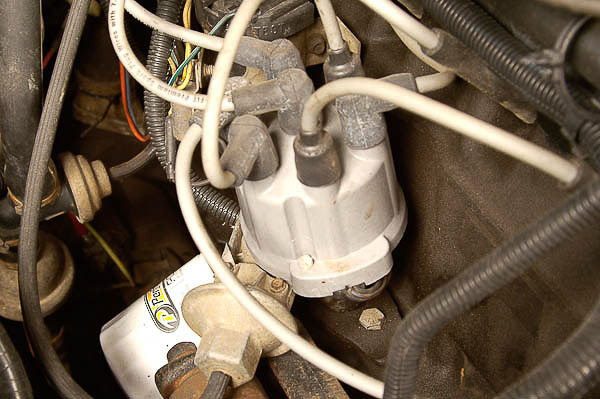 The ignition distributor has been replaced with an HEI type that has centrifugal and vacuum advance. The distributor came with a universal spark curve. I’d like to re-curve this distributor for performance and fuel efficiency. My thought is to push the advance “all in” a touch earlier if I can get the jetting right in the carb. Running this engine at much above 4,000 rpm is a rare occurrence although I do plan to curve the distributor in the engine. (I do not have access to a distributor machine anyway.) Fattening the jetting should help reduce pinging under load. In the past, on performance engines (which this one certainly isn’t now) I’ve always worked to get the mechanical timing all in by about 2500-3000 rpm with good results, but of course those engines tended to run more aggressive camshafts and carburetion. Do you think I am asking for trouble if I take this direction?—Marc B.
Marc, the old racing formula for aftermarket distributors has been to reach full centrifugal advance degrees by 2000 rpm. This is fine for an engine without vacuum advance and with A/F ratios richer than stoichiometric for gasoline (14.7:1). Considering the Grand’s weight and stock jetting of the carburetor (lest we forget, your aims include fuel efficiency), I would try the curve that I have provided here. You can bump up the base timing if octane/detonation is not an issue, increasing the total number of advance degrees, although it is doubtful that a 360 AMC V-8 will tolerate more than 34-36 crankshaft degrees total advance on today’s typical pump gas. “In the day,” we built muscle small block V-8s that ran 38-42 degrees total advance—with a cam, richer jetting and 100-plus octane fuel. You can fiddle with a more radical curve, but as you hint, that could be anathema without bumping up the camshaft’s valve overlap and enriching the fuel mixture—neither of which will do any good for fuel efficiency. (Incidentally, my camshaft choice for low-end power, torque and fuel efficiency remains CompCams’ 252 grind. This has stronger lift with milder duration and overlap.) I would add that an MSD timing control would simplify base timing control once you have the curve established. The timing control can be handy for varied altitudes, loads and driving conditions. You can set base timing (affecting maximum degrees of advance as well) from the dash. If you decide to abandon the fuel saving plan and build a racier engine, let me know. We can “blueprint” spec a distributor following the hotter AMC V-8 Javelin/AMX requirements; however, the octane needed for the compression bump will be expensive and possibly difficult to source on your hinterland trips. In my view, for trucks, tow vehicles and off-roading in the manner you would typically pursue with a heavyweight Grand Wagoneer, a muscle car engine build is impractical. I pulled a distributor curve for your Grand Wagoneer’s relatively stock 360 V-8. 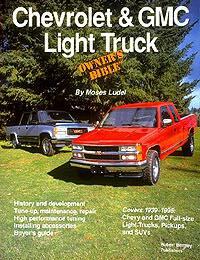 I looked over the late muscle era AMC listings for the 360 and 390 V-8s. They were emission burdened with an advance/retard vacuum mechanism. Therefore, the specs provided here are for a pristine 1971 J-truck application that uses a Delco-Remy window cap distributor. Truck engines were less emission restricted, and this respectable curve should work with current octane fuel and your 360’s compression ratio. I converted rpm to crankshaft speed, as you intend to curve your distributor in the engine. (With the engine cool, disconnect the fan belt before running the engine to 4,400 rpm! Keep the engine cool during spark curve tests.) When setting the curve with the distributor in the engine, set your base timing to zero prior to adjusting the curve. Use a timing light that has a built-in advance to simplify readings at higher rpm. Centrifugal advance (crank degrees with vacuum advance hose disconnected and taped): Zero to 5-degrees at 900 crankshaft rpm; 16-21 degrees at 1580 crankshaft rpm; 17-21.2 degrees at 1610 crankshaft rpm; 28-32 at 4400 crankshaft rpm. Vacuum (unit #1115362)—0 degrees at 4-6 in/hg; 24 degrees at 18-19.3 in/hg…If the vacuum canister is adjustable, you can set the vacuum advance using a hand pump with a vacuum gauge. Keep engine speed low enough to prevent centrifugal advance from interfering with measurements. Moses Ludel’s ‘in the day’ tuning equipment for FSJs—distributor strobe machine and Motorcraft V-8 distributor undergoing recurve work at right. I trust this truck-based approach helps with overall performance and efficiency, Marc. Let me know the results!